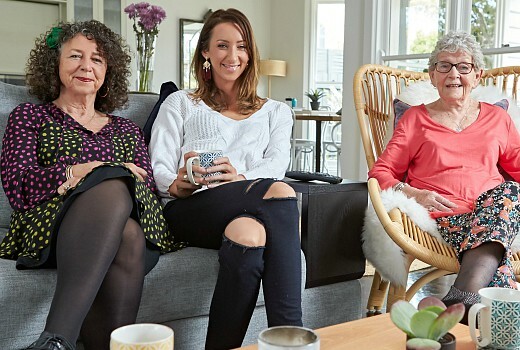 TEN led the primary channels last night buoyed by The Bachelor and Gogglebox, but Seven won the night thanks to its multichannels. Bachelor won its slot and the demos at 882,000 ahead of Home and Away‘s 545,000 from 7pm then 7:30 and RBT. Gogglebox also won against staggered scheduling elsewhere at 735,000. The Front Bar was second in its slot at 407,000 including on 7mate. In Melbourne Front Bar beat Footy Show at 278,000 and 170,000 respectively -the latter was up with a Sam Newman monologue. Elsewhere Seven News, ACA and The Chase won their slots. Seven network won Thursday with 28.6% then Nine 24.3%, TEN 23.5%, ABC 15.7% and SBS 8.0%. Seven News was #1 with 954,000 / 937,000 then Home and Away (545,000), The Chase (553,000 / 337,000), The Front Bar (407,000), and Movie: The Bucket List (282,000). The Bachelor won for TEN at 882,000 then Gogglebox (735,000), The Project (514,000 273,000), TEN Eyewitness News (359,000), Pointless (224,000) and Blue Bloods (204,000 / 134,000). ABC News (652,000), 7:30 (492,000), Grand Designs Australia (399,000), Loch Ness (343,000), Sammy J (258,000) and QI (188,000). On SBS it was Tony Robinson Down Under (301,000), 24 Hours in Police Custody (176,000), 24 Hours in Emergency (164,000), c(137,000) and The Chef’s Line 67,000. I’m surprised you haven’t yet reported on the “significant” changes by presenters and reporters at the Ten Network. The voice coach has had her hands full since turning up at the Pyrmont bunker on Monday. “Warm up, cool down, flex those vocal chords, repeat these lines after me”. . . Blah blah blah. The week of voiceology has been amazing, haven’t you noticed the difference! The change has been evident in the ratings, averaging a low of around 366,000 nationally. But never mind the ratings, as long as the CEO, a kiwi, can say he has sorted out one of the big issues, presenters and reporters voices. CBS need to move in and take control. I posted this under the daily ratings for Thursday, but: It really is interesting that the share of 7Two and 7Mate combined pushed the 7 network into a win, when only two shows in the multichannel list were over 128,000. It must sustain eyeballs, yet their offerings on the main channel last night were not much to write home about. Perhaps their reliance on mulitchannel repeat fodder is a strategy that works and doesn’t require much investment in ‘decent’ shows on the main channel? Fantastic for Ten, even if only by 0.1%. The demographics are epic. Wonder if Gogglebox’s odd drop was due to competition from Front Bar and an “announcement” on Footy Show in Melbourne, Adelaide and Perth?